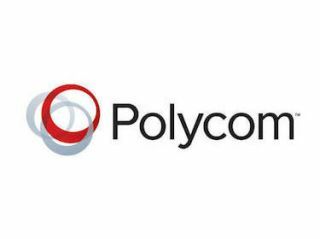 Polycom has added one click connection to Skype, removing the complexity of connecting multiple video systems from different vendors the Polycom RealConnect solution for Skype for Business. Now, participants using any video vendor, from Skype for Business, to Polycom and Cisco, and on any device, from voice to immersive telepresence suites, can join a unified meeting with one simple click. Customers simply want communication technologies to work together seamlessly and cost effectively. Until the Polycom RealConnect solution, Skype for Business video conferencing users could not meet or share content with participants using other video platforms. The result was a frustrating and difficult process for end users. Polycom RealConnect technology eliminates this barrier by making everything work together and provides each end user with the familiar communication experience they’ve grown accustomed to. There are no requirements to learn complex dialing codes or new platform behaviors, resulting in more time spent on getting business done and less on learning a new service. Scheduling through the Polycom RealConnect solution is easy. Simply invite participants to join meetings by using Microsoft Outlook. Users can connect from anywhere, from mobile devices to Polycom and Cisco Immersive rooms, and receive the same meeting experience. Skype for Business users see multiple viewing strips across the screen, including panoramic wide-shots of those joining from dedicated immersive suites. In addition, as many as nine sites may be seen at the same time. Polycom is also ensuring that users can see exactly who has joined the call with an expanded roster view. The Polycom RealConnect solution now enables roster displays that shows all participants on the call. If a rogue participant has joined the call, or a participant’s environment is determined to be disruptive to the call, roster controls empower call leaders to drop participants as appropriate. Skype for Business has become one of the most widely-used communication tools in business today. The Polycom RealConnect solution allows Skype for Business users to connect seamlessly with users on other video solutions using a single workflow that makes the experience familiar for all users, regardless of what device they are using. The solution also makes it easy to schedule a conference through Microsoft Outlook, every user joins with the same one-click experience, and everyone can share content back and forth with everyone else on the call. In partnership with Microsoft, Polycom offers the broadest portfolio of interoperable voice and video solutions designed for Skype for Business and Skype for Business online in Office 365. Polycom RealConnect technology can be enabled through Microsoft-qualified video interop solutions including the Polycom RealPresence Platform and the Polycom® RealPresence ClaritiTM collaboration infrastructure solution. Since Polycom RealConnect technology is part of the RealPresence Clariti™ platform, it can be purchased as a software only subscription based solution that is simple to deploy as it is to use.